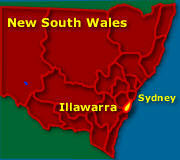 Map - Illawarra and Wollongong Map, NSW. The coastal area of Illawarra has dramatic views of the sea, with long ocean drives and pretty beaches along the way. Bulli lookout, a stopoff on the way from Sydney to Illawarra and the South Coast, has a grand view of the city of Wollongong and the coastal strip with long lines of surf and sand stretching as far as the eye can see. Kiama blowhole sea cave, Seven Mile Beach, Minnamurra Rainforest, Wollongong, the town of Berry and the dolphins and beautiful white sands of Jervis Bay, Gerrigong and the Stanwell Tops Royal National Parks. Wollongong is an industrialised city, surrounded by the dramatic Illawarra escarpment to the west and the Royal National Park to the north. Have fun exploring the many rocky outcrop headlands and surf and swimming beaches on the east coastline. Just to the South is Lake Illawarra, great for watersports such as windsurfing and kayaking. The city itself is a smaller, cleaner and tidier version of Sydney, with lots of great eateries, shopping and beaches within easy walking distance from the town centre. 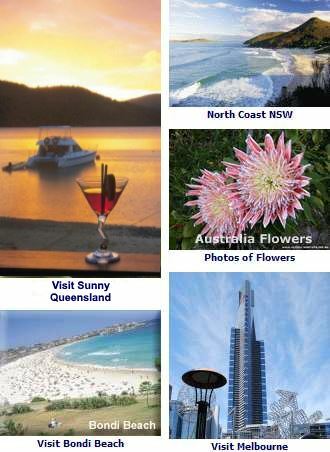 Wollongong Tourist Information - Places to Visit. 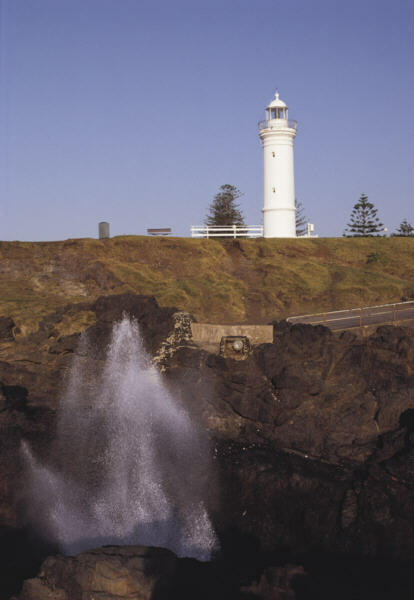 Further south is one of the oldest towns on the coast, Shellharbour, and picturesque Kiama, with its naturally occurring ‘Blowhole’. About 14kms west of Kiama is the Minnamurra Rainforest. Take a train with your bicycle from Sydney and explore the area for yourself. Places of interest include many of the beaches along the coast. Dont forget to bring sunscreen! There is plenty of accommodation options available, except during the busier holiday season and school vacations. There are historic inns and pubs, serviced apartments, hotels, motels, hostels, caravan parks, beachfront cabins, and cosy B&Bs to 5 star retreats - offering a variety of experiences for those wishing to stay longer than a day visit. View Wollongong and Illawarra Accommodation. There are quite a few good cafes and eateries offering good coffee and a number of excellent restaurants offering cosmopolitan cuisines and fresh seafood. Thought about a different kind of holiday? See Work in Australia. Map of the New South Wales Coast - See NSW Coast Map. 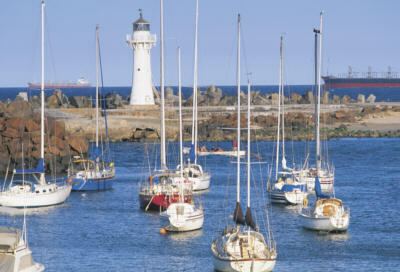 Photo: Boats on Wollongong Harbour.